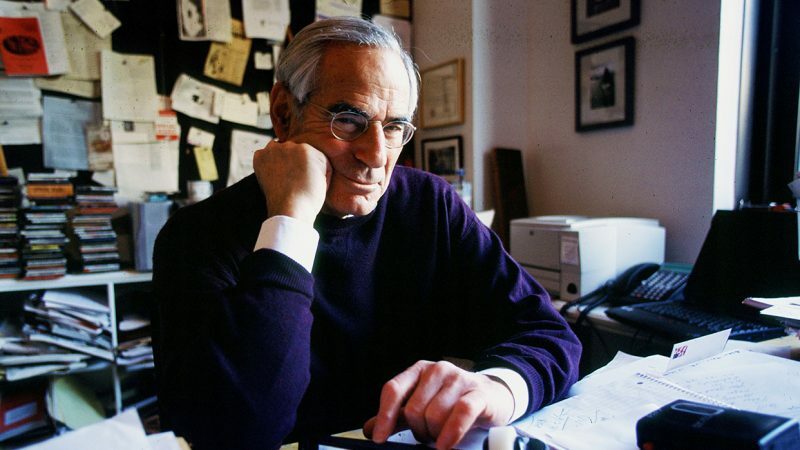 A Pulitzer Prize-winning journalist, David Halberstam was the author of 21 books on topics including war, the media, the automotive industry, social issues and sports. It was his intrepid reporting on the Vietnam War that won him his Pulitzer Prize at the age of 30, and his best-known book remains “The Best and the Brightest,” about the arrogance of power inside two administrations that led to the war. He died in an automobile accident in 2007 at the age of 73. Halberstam graduates from Harvard University, where he worked as the managing editor for the campus newspaper, the Harvard Crimson . Turning down job offers from large newspapers in the Northeast, Halberstam moves to West Point, Miss., and takes a job reporting for The Daily Times Leader, then the smallest newspaper in the state. After just 10 months, Halberstam is let go because the editor did not want him to report on issues of race and civil rights, the story he wanted to cover after leaving Boston. He goes to work for The Tennessean in Nashville, where he spends four years covering the civil rights movement, specifically student sit-ins at downtown restaurants. This running story shaped Halberstam’s reporting in which he covered both official statements and the point of view of people on the street. Halberstam goes to work for The New York Times in its Washington bureau covering President John F. Kennedy’s inauguration. After six months in Washington, the editors assign Halberstam to cover Congo’s fight for independence from colonial powers. In a new assignment, Halberstam moves to Saigon and reports on the Vietnam War , often filing stories that clash with official reports presented by government and military officials. The U.S. government claims that the military and its allies are easily defeating the communist militias in North Vietnam. Halberstam’s eyewitness reporting reveals what is actually happening on the ground. The negative and contradictory reporting angers President Kennedy to the extent that he asks publisher Arthur Ochs Sulzberger to replace Halberstam. Sulzberger refuses. Halberstam shares the Pulitzer Prize for International Reporting with Malcolm W. Browne of the Associated Press for their coverage of the war and the Diem regime. After reporting in New York City and Poland, Halberstam leaves the Times to focus on writing books and magazine articles. “The Best and the Brightest,” is published. In the book, Halberstam examines the military and political advisers of the Kennedy and Johnson administrations who were responsible for U.S. involvement in Vietnam and how it turned into a foreign policy disaster. Halberstam’s next book, “The Powers That Be,” focuses on the increasing concentration of media companies into a few massive conglomerates. He also spent time traveling with the Portland Trail Blazers basketball team, which turns into his first sports themed book, “The Breaks of the Game,” published in 1981. Focusing on Japan’s economic growth, “The Reckoning” covers the U.S. auto industry’s struggle to compete internationally with Japanese automakers. Halberstam joins Vanity Fair as a contributing editor. “The Fifties,” his look at the political, economic and social history of that decade, is published. Joining his Tennessean colleague Bill Kovach and other prominent journalists, Halberstam helps found the Committee of Concerned Journalists . Two more Halberstam books are published: “The Children,” which focuses on Halberstam’s experience during the civil rights era and the interaction he had with student protesters, and “Playing for Keeps: Michael Jordan and the World He Made,” which examines the sports and celebrity culture surrounding the Chicago Bulls superstar. “Firehouse” is an outlet for Halberstam, a native New Yorker, to address the attacks of Sept. 11 and their impact on his Upper West Side neighborhood. The local firehouse, New York Fire Department Engine 40, Ladder 35, sent 13 men to the World Trade Center and only one survived. In a Vanity Fair article , Halberstam writes about the tragedy of Hurricane Katrina. On April 23, Halberstam dies in a car accident in Menlo Park, Calif. He was in California to visit the University of California, Berkeley, and to speak with journalism students. He was on his way to interview former New York Giants quarterback Y.A. Tittle for a book on the 1958 championship game between the Giants and the Baltimore Colts. His last book is published shortly after his death. In “The Coldest Winter,” Halberstam writes about the history of the Korean War. “The Noblest Roman.” Boston: Houghton Mifflin, 1961. “The Making of a Quagmire: America and Vietnam During the Kennedy Era.” New York: Random House, 1965. “One Very Hot Day.” Boston: Houghton Mifflin, 1967. “The Unfinished Odyssey of Robert Kennedy.” New York: Random House, 1969. “Ho.” New York: Random House, 1971. “The Best and the Brightest.” New York: Ballantine, 1972. “The Powers That Be.” New York: Knopf, 1979. “The Breaks of the Game.” New York: Ballantine, 1981. “The Amateurs: The Story of Four Young Men and Their Quest for an Olympic Gold Medal.” New York: Ballantine, 1985. “The Reckoning.” New York: Morrow, 1986. “Summer of '49.” New York: Morrow, 1989. “The Next Century.” New York: Morrow, 1991. “The Fifties.” New York: Villard Books, 1994. “October 1964.” New York: Ballantine, 1995. “The Children.” New York: Random House, 1999. “Playing for Keeps: Michael Jordan and the World He Made.” New York: Random House, 1999. “War in a Time of Peace: Bush, Clinton, and the Generals.” New York: Scribner, 2002. “Firehouse.” New York: Hyperion, 2002. “The Teammates: A Portrait of a Friendship.” New York: Hyperion, 2003. “The Education of a Coach.” New York: Hyperion, 2005. “The Coldest Winter.” New York: Hyperion, 2007. Haberman, Clyde. “David Halberstam, 73, Reporter and Author, Dies.” The New York Times, April 24, 2007. Halberstam, David. “Nashville was my graduate school.” Nashville Post, April 24, 2007. Mishkin, Budd. “One On 1: Pulitzer Prize-Winning Author David Halberstam.” NY1, March 25, 2007.